Surender Sigh - Bhakti Yoga - coming soon ?? Bhakti Yoga ist Hingabe und Liebe. Es ist einer der vier spirituellen Hauptpfade zur Selbstverwirklichung. Bhakti Yoga ist eine spirituelle Praxis, in der wir mit Hilfe unseres physischen Körpers, in Form von Asanas, sowie durch tiefe Meditation zu unserer wahren Essenz finden. Der Fokus liegt auf der Entwicklung des eigenen Bewusstseins und eines hingebungsvollen Geistes welcher stehts mit offenem Herz und in Liebe handelt. 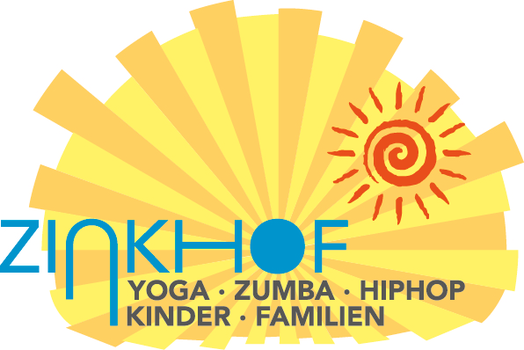 Surinder Singh unterrichtet in herzlicher Atmosphäre Hatha-Yoga- eine klassische Kombination aus Asanas, Pranayama und Meditation. Er ist einer der bekanntesten Lehrer in Nordindien. Seine Yogaschule „Swasti Yoga Shala“ in Rishikesh am Fuße des Himalaya ist beliebt bei Schülern aus aller Welt. Er teilt sein Wissen mit Schülern aller Leistungsstufen, die Yoga lieben und teilen möchten. Es ist die herzliche Atmosphäre und seine positive Energie welche seine Schüler immer wieder zu ihm zurückkehren lassen. Mit mehr als 20 Jahren Unterrichtserfahrung ist er ein Experte für alle Elemente des klassischen Raja- und Hatha-Yoga: Asanas, Pranayama, Yoga Nidra, Meditation und Yoga-Philosophie. Surinder war Gast vieler Yoga-Kongresse und -Konferenzen in Indien und weltweit. Surinder ist Reiki-Meister, ausgebildet in ayurvedischer Massage und verfügt über tiefe Erfahrungen im ganzheitlichen Heilen. Sein authentischer und herzlicher Unterrichtsstil erlaubt es dir, tief in deine individuelle Yogapraxis einzutauchen. So kannst du Hatha-Yoga ganzheitlich erfahren – mit tiefer spiritueller Bedeutung, präziser Ausrichtung und kraftvollen Pranayama-Techniken. Sein Unterrichten verbindet er stets mit philosophischen Hintergrund. Bhakti Yoga is devotion and love. It is one of the four spiritual paths to self-realisation. Bhakti yoga is a spiritual practice, where we use our physical body in form of asanas and through deep meditation to get in contact with our true self. The focus will always be developing awareness and a devotional state of mind that acts on an open heart and based on true love. Surinder Singh teaches hatha yoga– a combination of asana, pranayama and meditation– in the atmosphere of cordiality and support. He is probably the most famous yoga teacher in entire Northern India. His yoga center „Swasti Yoga Sala“ in Rishikesh located at the bottom of the himalayan mountains is commonly known by many students. He shares his knowledge with students on all kinds of level, as long as they love and share yoga. It is this atmosphere and energy, and its vastly positive effect on practice that the master’s students experience and which they come back for, year after year. Surinder Singh offers you more than 20 years of yoga experience in classical Raja- and Hatha Yoga: asanas, pranayam, yoga nidra, meditation and yoga philosophy. He took part in several yoga-congresses and conferendes in India and the rest of the world. Surinder is a Reiki-master, studied ayurvedic massage and has deeper understanding of holistic healing methods. His authentic teaching style allows every student to find their own way of connection to the answers that lay hidden in the deeper layers of consciousness. Therefore you can practice in your own individual way, experience the holistic approach of Surinder and enter spirituality including precise alignment and an establishing pranayam technique. His classes are always sparkled with the light of philosophy.